Governments are spending vast sums to reduce crushing poverty. While the cause is a noble one the reasoning and approach may be faulty. Populist economics is on the rise in Southeast Asia. Politicians have been actively adopting policies that aim to impress upon the poor that governments are doing something, however trivial, to improve their conditions. It is generally a positive development but is it sustainable? Thailand’s Thaksin Shinawatra was ousted as Prime Minister in 2006 but has remained popular among the rural poor. In fact, his younger sister is the country’s incumbent head of state. What is the reason for his enduring appeal? Maybe the great majority, especially the poor, have not forgotten his various ‘gifts’ to ordinary Thais. Under his watch, Thaksin provided a life insurance scheme for the poor, bicycle loans for students, scholarships for indigent students, loans for low-priced TV sets and computers, loans for the purchase of taxi cabs, and cheap housing for middle income urban families. Thaksin also built fitness and day care centers in rural villages, gave educational gift packages for every newborn baby, and lowered the school fees in the country. The targeted delivery of high-impact services to the very poor segments of the population was a component in Thaksin’s economic program which came to be known as Thaksinomics. This proved to be highly successful, at least politically, in boosting the image of Thaksin as hero of the masses. As expected, Thaksin’s critics accused him of resorting to populism to win the political support of the poor. 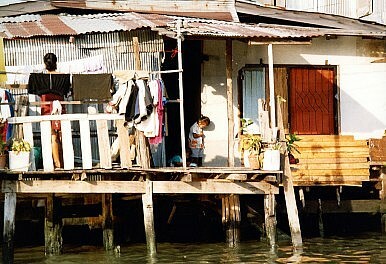 But Thaksin was perhaps vindicated when his political enemies adopted his approach of giving special gifts to the poor. The administration of Abhisit Vejjajiva not only provided free bus and train rides and free water allowances to poor citizens, it also unveiled what it called nine “New Year gifts” to the people which involved, among other things, loan access for informal workers, registration of motorcycle-taxi drivers, recognition of street hawkers, maintaining the price of cooking gas and free use of electricity. Yingluck defeated Abhisit’s party in last year’s elections and following her victory she immediately signaled her intent to continue the legacy of her elder brother when it comes to social welfare programs. Aside from reviving some of Thaksin’s programs like the rice mortgage policy, Yingluck has some new gifts to offer to her constituents. Some of the more to controversial among these include the commitment to raise the minimum wage and the entry salary for university-educated civil servants. Yingluck also vowed to distribute free tablet computers to first graders. She also set-up a women’s development fund to promote the well-being of the women sector. Similarly, Malaysian Prime Minister Najib Tun Razak has expanded the assistance schemes, cash handouts, housing and healthcare initiatives that are conceptualized to help the needy and jobless. The Bantuan Rakyat 1 Malaysia 2.0 program, which will begin dispensing aid in early 2013, is expected to cover 4.3 million households and 2.7 million single individuals aged 21 and older. 4.78 million households are said to have benefited from the program, BR1M, which didn’t cover single individuals. Under the program, households with outcomes under RM 3,000 receive an allocation of RM500 (U.S. $167.48), while single individuals aged 21 or older who have a monthly income of RM 2,000 or less also receive aid. Health care is another aspect of the program. It was already announced that 70 new clinics will be set-up next year. The facilities are expected to provide blood test services including cholesterol, glucose and urine tests. The government also plans to upgrade 350 clinics nationwide and distribute 150 dialysis machines in public hemodialysis centers nationwide. In the states of Sabah, Sarawak and Labuan, the government also is seeking to uplift the poor by building 80,000 new houses with selling prices between RM100,000 and RM400,000 per unit. After years as the world’s top rice exporter, Thai PM Yingluck Shinawatra’s populist policies are causing serious problems.